Tandava is inspired by the folk and classical music of India and Bangladesh, and draws upon the wealth of musical traditions from China, the Middle East, Africa, and the West. Tabla and polyphonic marimba provide the rhythmic and textural foundation for Lan’s erhu, Prashant Michael John’s flutes, guitar, and vocals to soar over. Original compositions, dynamic improvisation, and arrangements of traditional styles bridge the ancient and the contemporary. 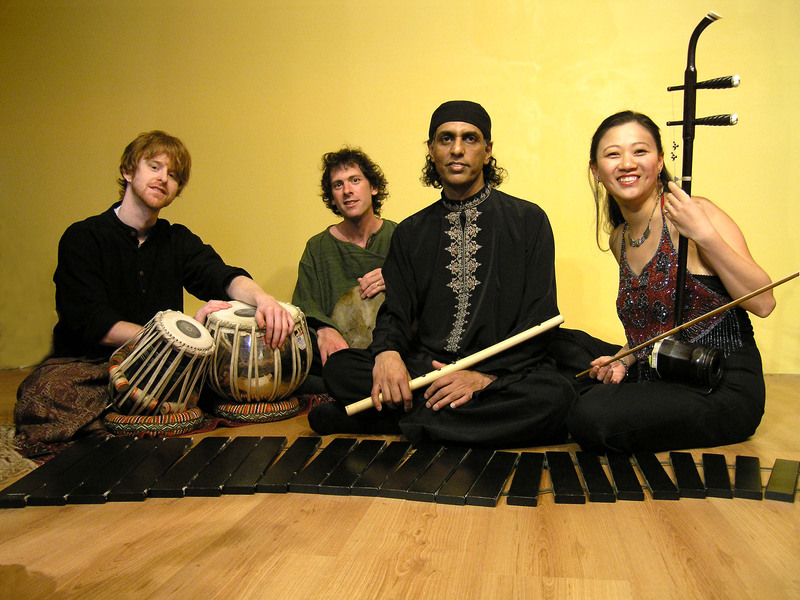 Among Vancouver’s most successful world music artists, the members of Tandava are trained in Carnatic, Hindustani, Chinese, and Western classical traditions. For CBC Newsworld, Adrian Harewood described the quartet as “a metaphor for Canada in the 21st century”. Tandava’s unique blend of instruments, musical sensibilities, and ethnic traditions results in an original voice, created from and reflecting our rich intercultural environment.